This time we would like to tell you about the work we did on the exterior of U-Haul buildings in Delta. 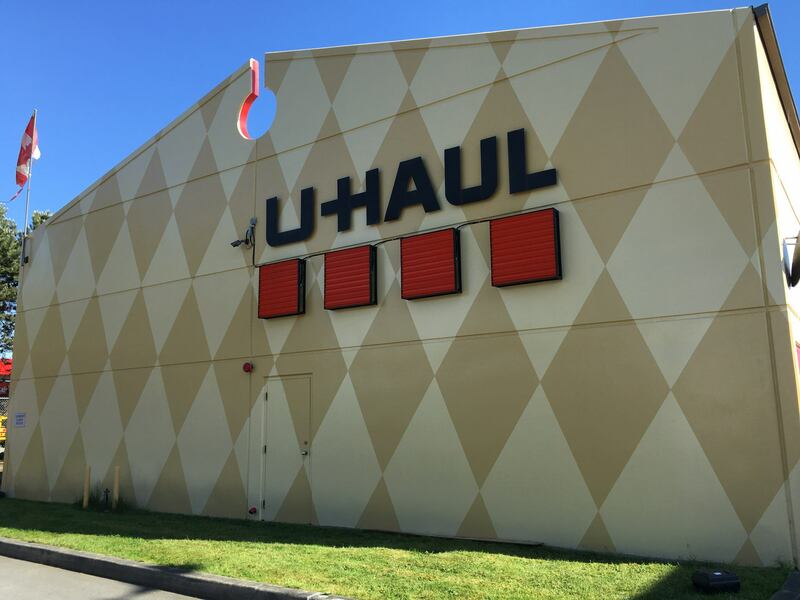 U-Haul is our dear client and since we painted the exterior of their buildings before we knew this would not be easy. This is a very difficult job due to the use of patterns which required extensive stenciling and precision measurements. The buildings were first pressure washed and then painted. We think it all turned out pretty well. Have a look for yourself.